Whenever my nieces come over to stay, the one thing that they religiously want to see is 'Tom and Jerry' and I have to watch it with them. I distinctly remember one of the episodes where Jerry drinks an amalgamation of chemicals and turns into this violent and humongous mouse which trounces the then smaller car Tom. The Fiat Avventura is somewhat like that. 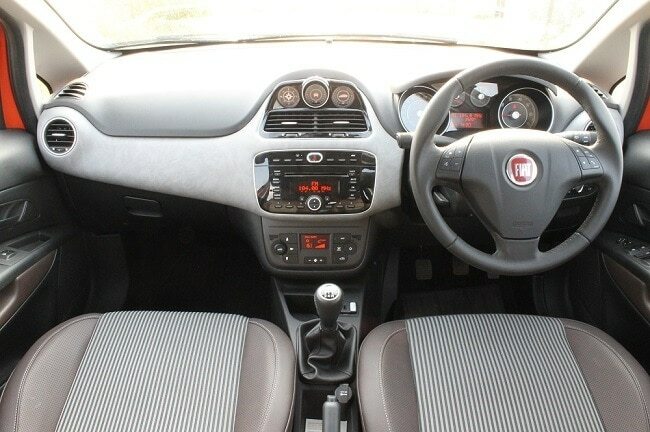 Fiat India has given it some toxins which sees it grow into a different and rugged version of the Punto Evo. If you try and look closely, there are muscles springing out of every ounce of the body and everything is beefed up. That's the very first impression when you see the Avventura and the first thing you notice about it is the big spare wheel cover. It doesn't look odd because you've seen it on the Ford Ecosport too and you think it is mounted on the boot. But the people at Fiat had other plans, but more about that later. When you first look at the car, you might say, "Oh! The front and rear looks exactly like the Punto Evo". 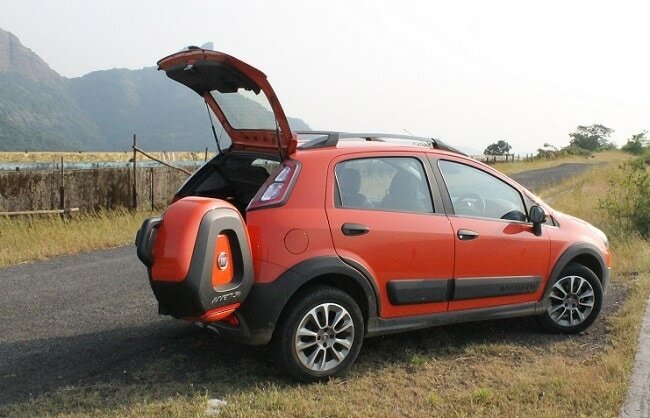 Technically, the Punto Evo derives its look from the Avventura. Fiat gave it a lot of thought before they gave that face to the Punto Evo and the decision was driven by the fact that people who visited the Delhi Auto Expo this year, found it irresistible (not my words but of those at Fiat). So, yes, the Avventura looks exactly like the Punto Evo or vice versa. Everything from the front bumper to the tail lamps is the same. This kind of design adds a hint of sportiness to the Avventura. It looks aggressive with the all-new bumper which has a tough-looking cladding integrated into it. The pseudo skid-plate completes the crossover styling and the flared wheel arches help in housing the meatier 16-inch alloys. The changes do not end there. 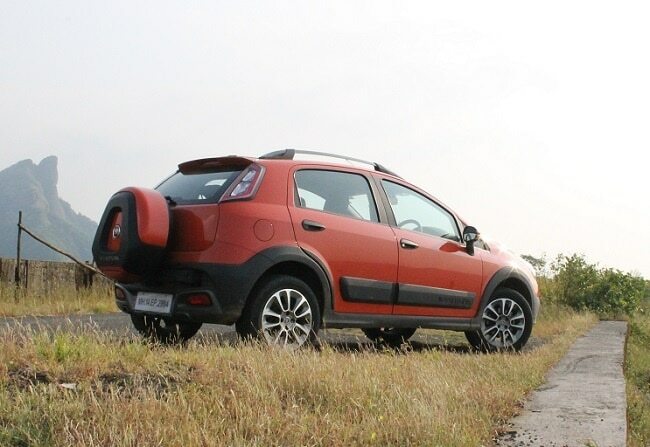 Fiat has given the Avventura 20mm more ride height over the Punto Evo and hence we see it sitting tall with a good 205mm ground clearance which surprisingly is the same as the Renault Duster! That one figure changes the way you look at the Avventura, is it a crossover? or a compact SUV? Fiat would like you to go with the latter we think. The Avventura glides over potholes and does a bit of mild off-roading but it won't be able to handle anything like slush because traction is not its forte. Fiat engineers have worked on recalibrating the suspension of the Avventura... More significantly they've added an anti-roll bar at the rear which compensates the higher ride height and makes the car fun to throw around on winding roads too. On the engine front the Avventura gets the same 1.3-litre 90bhp churning diesel motor that we've seen in the Linea and the Punto Sport. It is lazy off the mark and is at its best when the needle of the rev counter is between 2100 and 3200. Hence it isn't the best of cars in an urban setting with stop-go traffic conditions. Its life is more suited for the highway. There is also the option of the petrol FIRE engine but we do expect most of the people out there to opt for the diesel for its grunt and torque and overall efficiency. 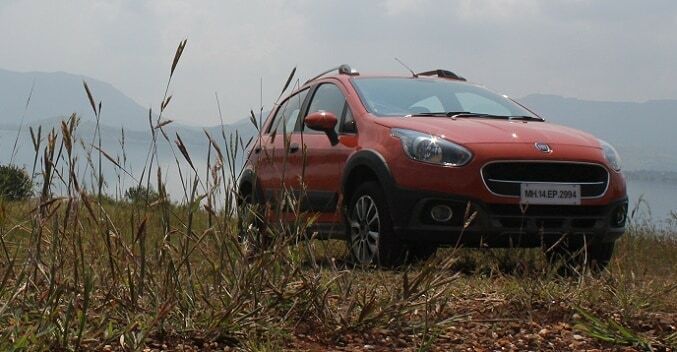 Fiat claims a mileage of 20.5 km/l for the diesel and 14.4 km/l on the petrol Avventura. The inside of the Avventura is a mix of old and new. The dashboard comes straight out of the Punto Evo with some additions like this compass and a tilt-meter that helps in measuring the pitch and yaw. Though interesting, it isn't very useful and could have easily been switched with another feature like a rear parking camera which would've been a whole lot more relevant. The Avventura does get climate control, electric windows, a rear AC vent and an audio system that supports CD, MP3 and Aux-in. Yes there is Bluetooth but only for telephony and not for audio streaming. The dash gets a part-soft touch, two-tone treatment and the soft portion here is finished in light grey whereas the seats are a shade of brown; weird combination but that's how it is! There is enough and more boot space too and swallowing two big bags is not a problem, however, the problem is getting them inside it. Here is where the tailgate comes into the picture. So, here's the scenario. I have two huge bags in both my hands and I have to open the boot to put them inside so this is how it works. You press the button on the key, open the tailgate and then open the boot lid and slide the bags inside. Yes, it takes less than 2 minutes to do all of this but with two heavy bags in either hand 2 minutes is a lot of time! So it is not the most convenient. Granted that the Avventura has its shortcomings, but it still stands tall as a formidable product coming out of the Fiat stable after a very long time. With unmatched ride quality, decent looking exteriors, this wannabe SUV is poised to attack and bite into the sales of premium hatchbacks, entry-level sedans and even compact SUVs like the Ecosport. 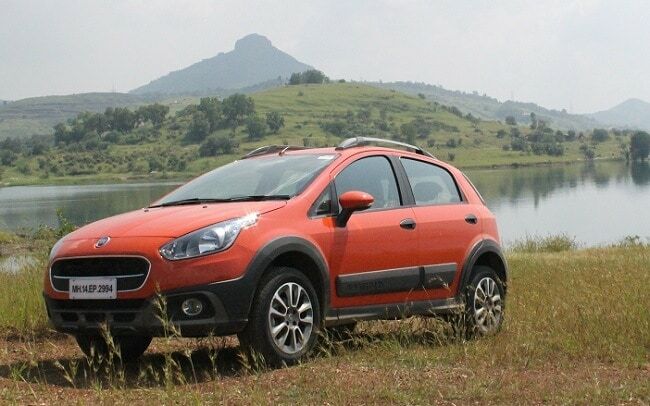 And yes we believe the Avventura is a different breed altogether when compared to the Etios Cross or the Cross Polo.